It's terrible! Poor woman! I originally saw this story on Drudge Reort and ithe article said Greman Shephards were the culprits. Now the truth is out... More pit mixes! After reading comments I'm still not sure how many dogs and what breed??? 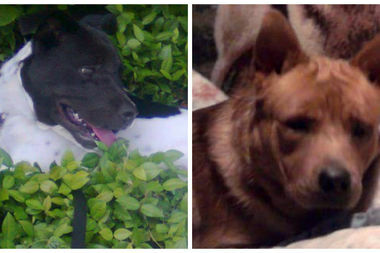 The first story said pit bulls/pit bull mixes- then they said 2 were german shepherds...2 loose in the ?? ?basement apartment?? and 2 in crates. I read the Drudge story too, though I believed it COULD have been TWO german shepherds, it's much more likely that it's pits or pit mixes. Is the media actually trying to hide the truth when it comes to pit bull breeds?